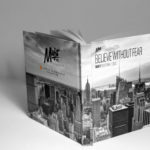 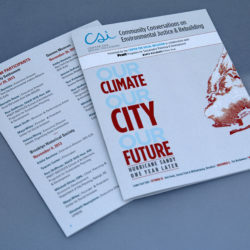 A brochure designed for social justice. 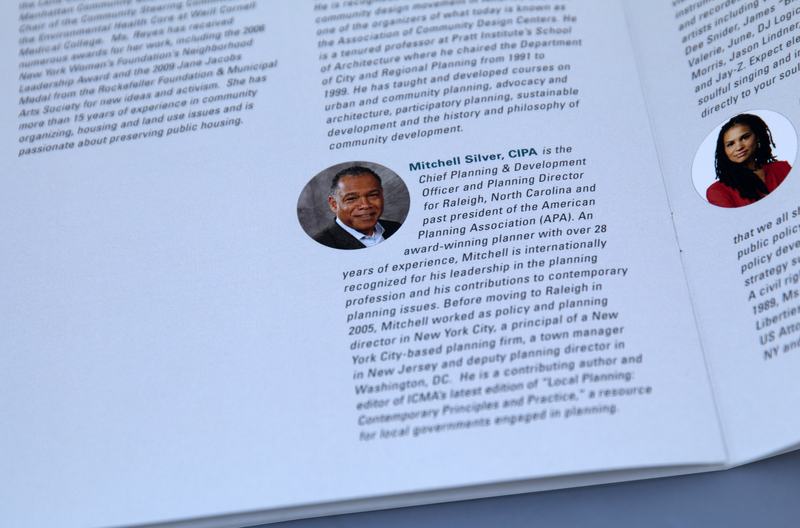 Here, I was fortunate to marry two of my passions: Urban Planning and Graphic Design. 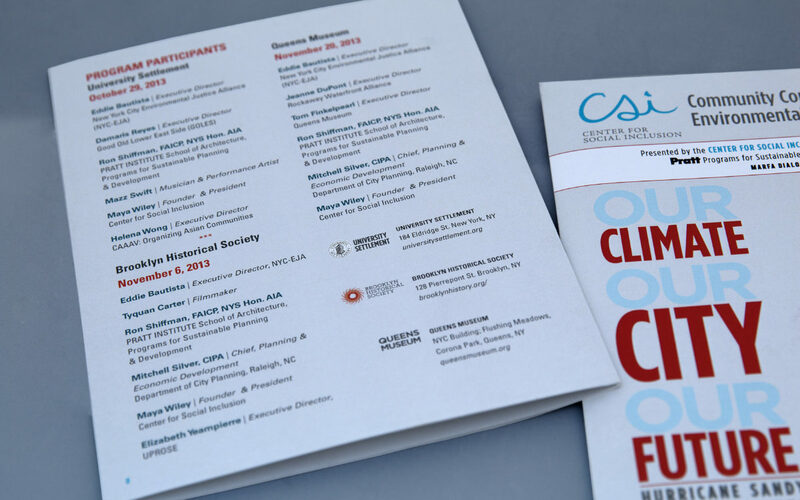 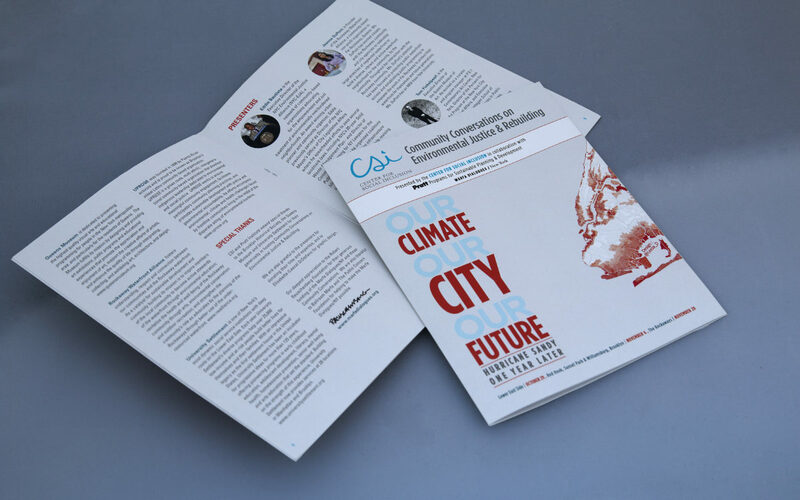 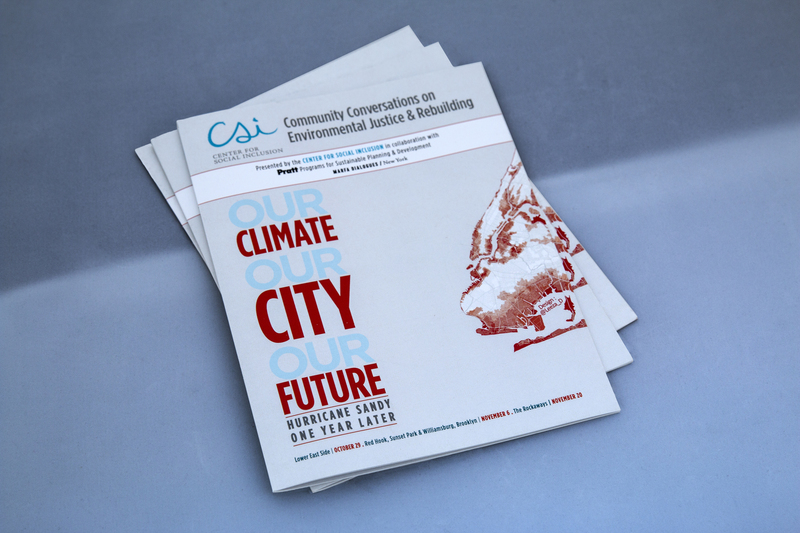 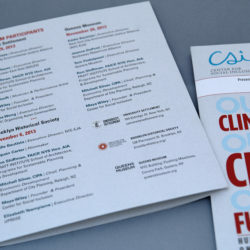 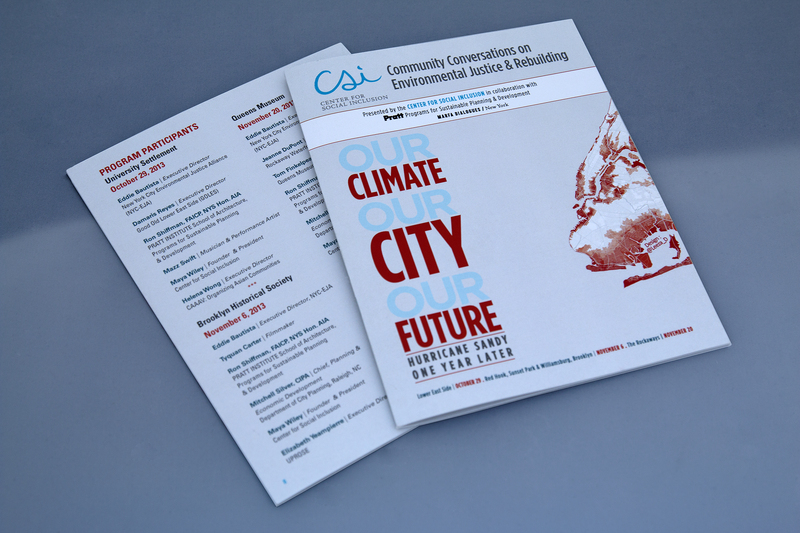 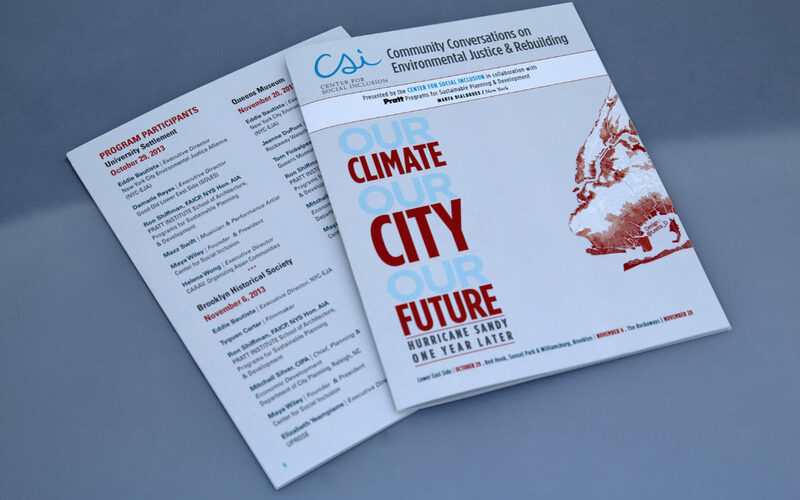 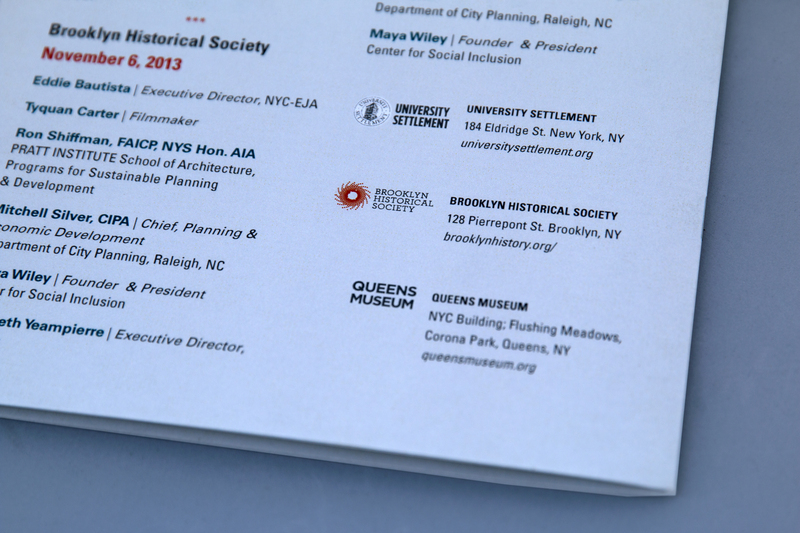 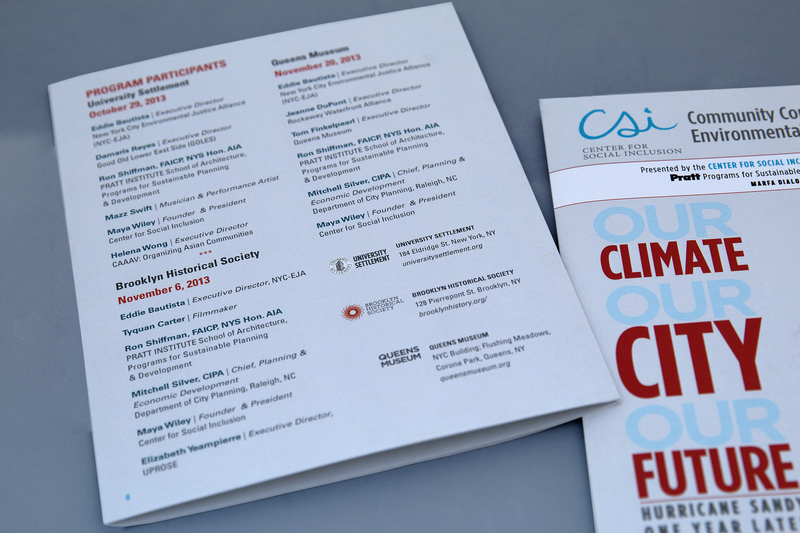 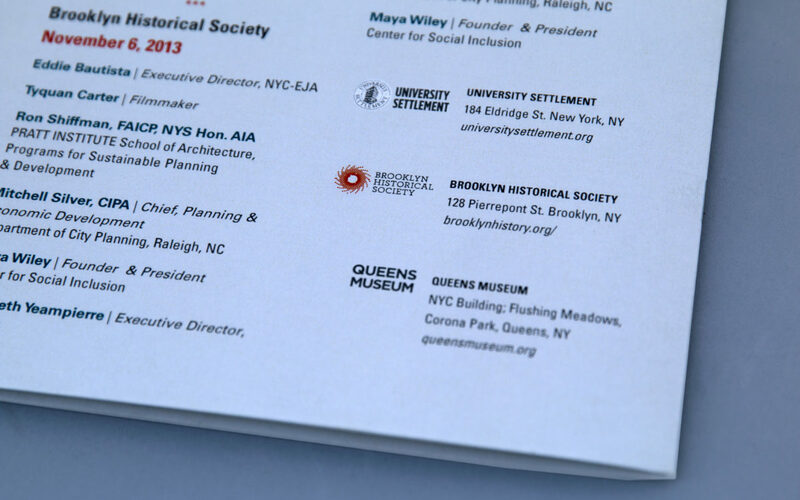 The clients (CSI and Pratt PSPD) needed a brochure designed for one of the ‘Marfa Dialogues/NY’ events, which focused on “community conversations on environmental justice and rebuilding” one year later after Hurricane Sandy, a storm that devastated the North East coast especially New York City. 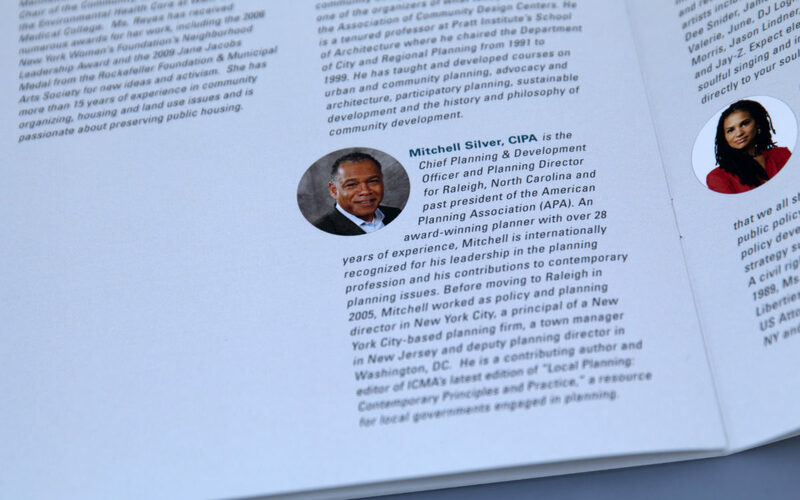 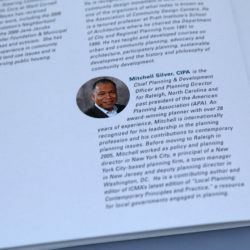 This particular Marfa Dialogues/NY event was presented in collaboration by The Center for Social Inclusion (CSI) with Pratt Institutes’ Programs for Sustainable Planning and Development. 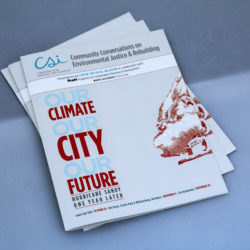 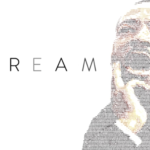 CSI is a national policy strategy organization whose mission is to dismantle structural racism. 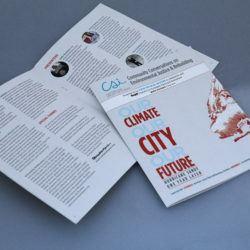 Pratt Institute’s Programs for Sustainable Planning and Development (PSPD) is a department within Pratt Institute’s School of Architecture Graduate School. 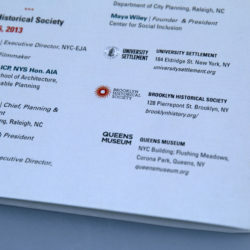 The Marfa Dialogues is originally brought together by The Robert Rauschenberg Foundation, Ballroom Marfa and the Public Concern Foundation.